After a successful breakout from the Hyperion-8 maximum security prison, you’d think that the crew of the Raza would be ready to move ahead with their true identities and a new future. But not so fast. On this week’s episode of Dark Matter it’s back to square one for some of the crew, as a malfunction turns them against each other once again. 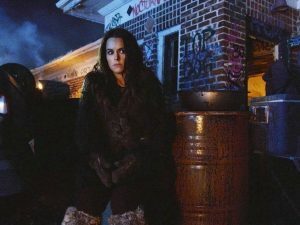 Also this week: 12 Monkeys is back with the penultimate episode of the season, having recently picked up a third season renewal. 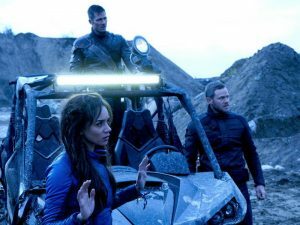 And on Killjoys the team encounters a dangerous enemy when a rescue mission takes them into an old mine. 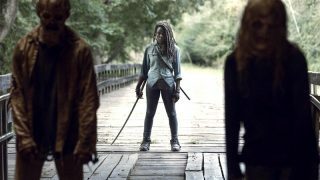 “Blood Washed Away.” Cole and Railly attempt to stop the final paradox; Ramse, Jennifer and Deacon struggle to survive the apocalypse in an effort to find the Witness. “Shaft.” A rescue mission goes sideways when the team encounters an unexpected enemy in an abandoned mine. 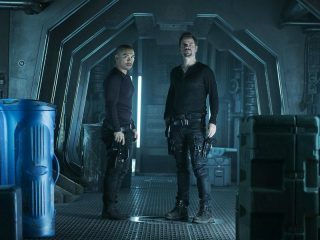 “I’ve Seen The Other Side Of You.” While laying low on the Raza, a computer glitch causes the crew to turn against each other.